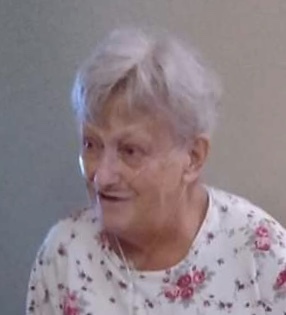 Mariella Kay Hatton, age 71, of Quincy, passed away on at 4:57 A.M. on Sunday, February 10, 2019, at Putman County Hospital in Greencastle. She was born in Vincennes on November 18, 1947, the daughter of Dexter & Leona (Pea) Hawkins. Mari was a 1965 graduate of Lincoln High School in Vincennes. She retired from General Electric after more than twenty-years of service. Mari loved to fish, crochet, work hidden picture games, and reading. She is survived by her three sons, Robert Farrell (Tonya) Hatton, Jr. of Brazil, Edward Lee (Lisa) Hatton of Spencer, and Richard Allen Hatton of Quincy, two brothers, Bill & Dexter Hawkins, thirteen grandchildren, and twenty great-grandchildren. She was preceded in death by her parents, a sister, Jan Utt, and a brother, Chuck Hawkins. Visitation will be held at West & Parrish & Pedigo Funeral Home in Spencer on Saturday, February 16, 2019 from 2:00 P.M. until the time of Sharing of Memories Service at 4:00 P.M.
Online condolences may be shared with Mari’s family at www.westparrishpedigo.com.